Sören Kottner, M.Sc., is an engineer at the Institute of Forensic Medicine at the University of Zurich. From 2014 until 2015 he worked as an external scientist at the Department of Ecology and Geobotany of the University of Frankfurt/Main (Germany). From 2013 until 2015 he was employed as a technical engineer in the field of optical digitizing and 3D metrology. His main responsibilities involved individual software training, customer support and 3D data processing. During his studies at the University of Frankfurt/Main (Germany) from 2007 until 2013 he specialized in 3D digitization and the analysis of botanical 3D morphologies. 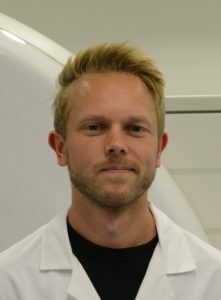 Since 2015 he started working with the Virtopsy group at the Forensic Institute of Medicine at the University of Zurich as a forensic 3D surveying engineer.